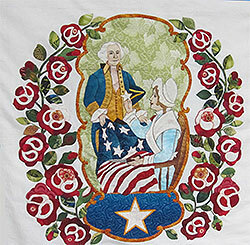 You are invited to attend the Academy Of Applique in historic Williamsburg VA March 2-8, 2015. This event immediately follows Mid Atlantic Quilt Show (February 26-March 1, 2015). The “Academy” will offer classes catering to beginner, intermediate, and advanced appliquer.